The house is composed from 4 smaller ‘houses’, containing the more private spaces and supporting facilities. 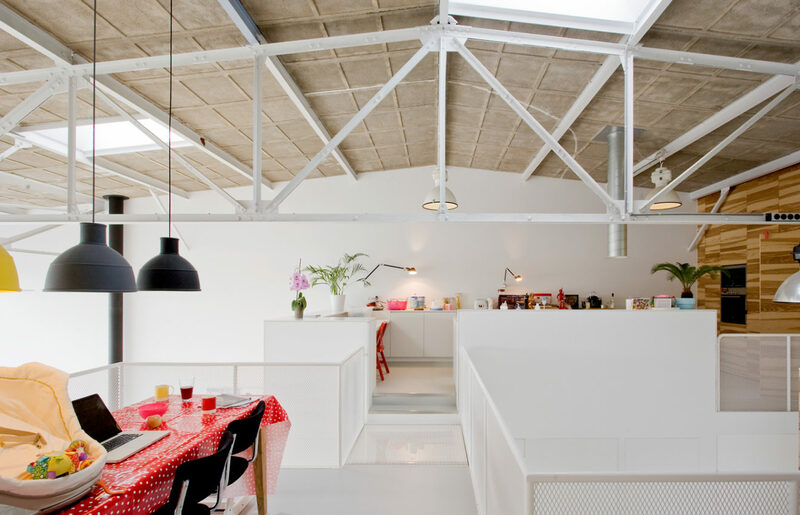 In between them, an open multifuncional space emerges (the streets), and natural daylight enters deep into the house. The elevated second level is used for cooking, dining, working and has a guest house, connected by walking bridges. These ‘roof terraces’ are placed in such a way that you can fully enjoy the view of the adjacent harbour. The walls consist of closets and cupboards which double funtion as a wooden support structure. 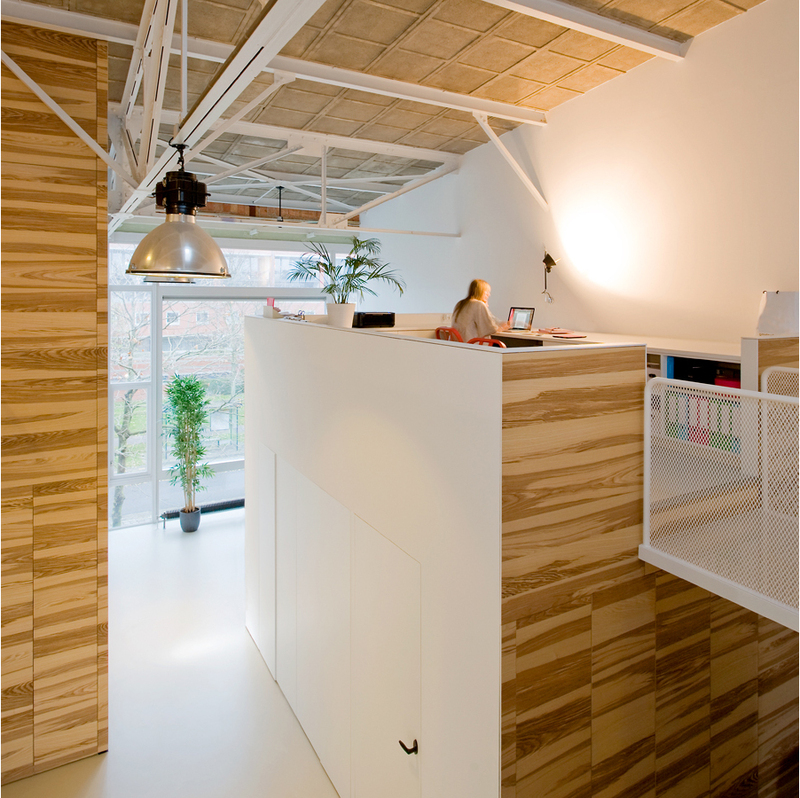 The whole loft-space is thus used, but retains its open character. 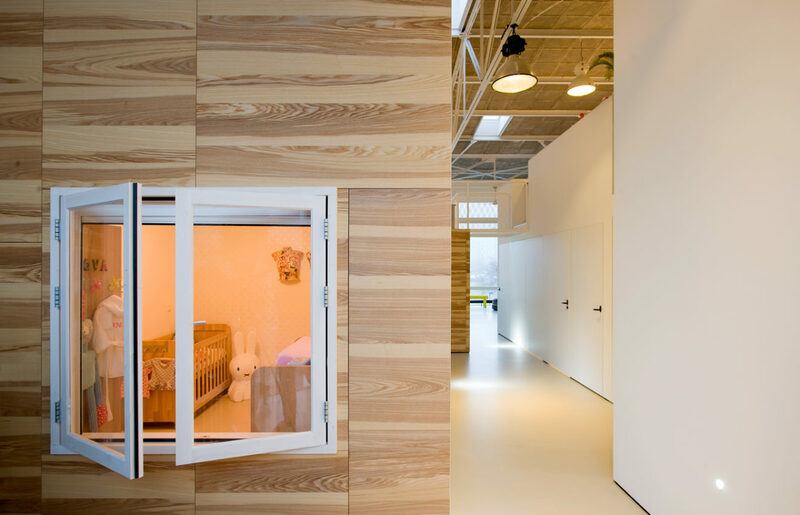 The enclosed volumes also work as climate compartments and limit the energy-use. In the future the funcional space can be enlarged by building extra ‘houses’ in the space now left open.